TPB Back Issue Classics Episode 68 is here! Cue Kenny Loggins because THIS IS IT !!! Mike and Joe return to Talkin' Turtles... This dynamic duo go through issue #5 the final issue of IDW's TMNT BEBOP & ROCKSTEADY DESTROY EVERYTHING! and spoil well everything! We talk about re-aligning the timeline, the BopSteady Verse, the 79th dimension time lords, the 90s valley girl accents used by Renet and the rest of the time lords, Donnie the BEST narrator ever, and more! 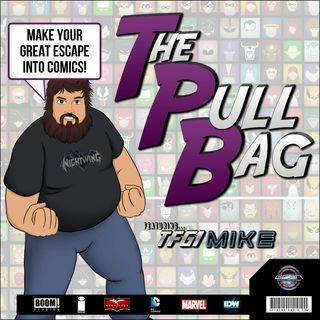 So grab some ... See More pizza, and listen in as we continue the Tubular Turtle Talk here inside The Pull Bag!